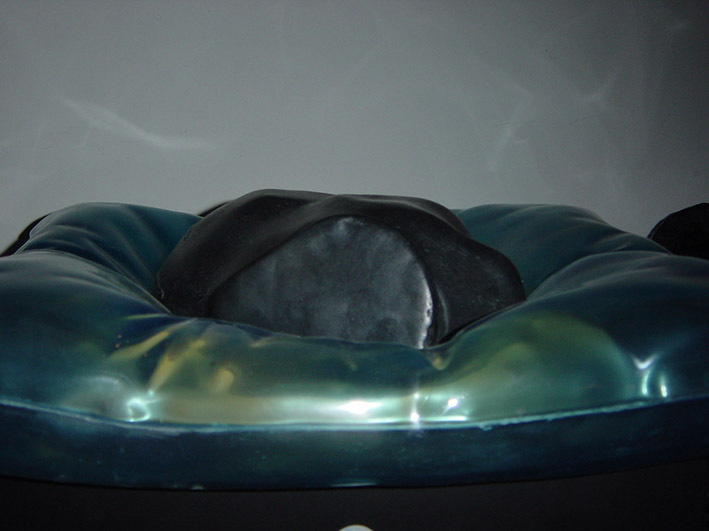 Patinated bronze, polyester resin, mica chips, mdf base containing voice electronics, passive sensor. Sweet Dreams is a triptych installation of luminous voice interactive sculptures. A self-portrait of the dreamer and the dream. 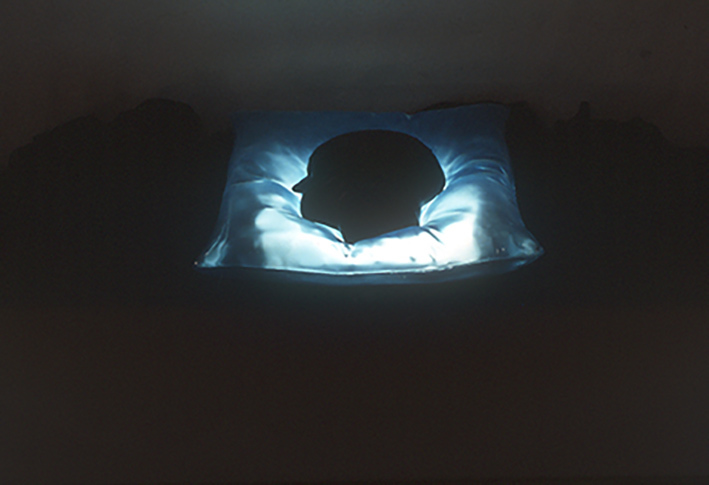 All three works portray a head sunk in a pillow, but, in each of the three works, head, pillow and whispered dream are transformed, the last work becoming entirely the opposite of the first. In this triptych installation, Lijn wants to make the unconscious visible. The psyche becomes more alive than the physical presence of the person. In Sweet Dreams I the head is a heavy shadow sinking into a luminous liquid pillow. Sweet Dreams ll is deeply ambivalent. The feathered boa hints at luxurious feminine fantasies, while simultaneously referring to the dreamers mortal struggle with a gigantic bird. 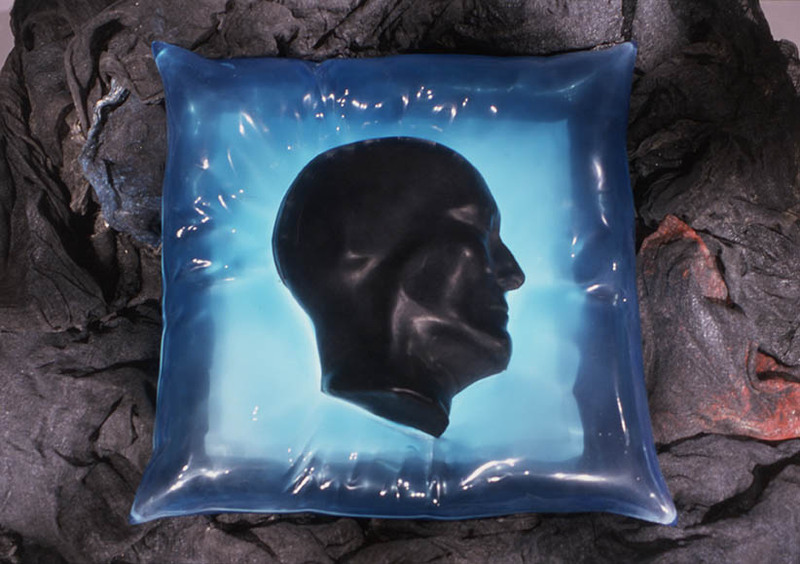 In Sweet Dreams III the dreamer’s luminous head rests on a shattered opaque pillow. She dreams of dropping everything she has carried for so long.